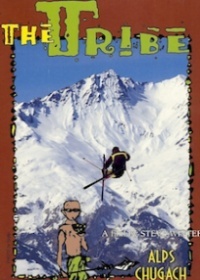 The Tribe is a ski movie about seven skiers and two snowboarders. Follow them as they search the globe for deep powder, epic features, and good times. The Tribe also features Frank Gambalie BASE jumping, and a Tony Hawk skate session in southern California. Shot on location at: The Alps, The Chugach Range AK, The Rocky Mountains, The Pyrenees, and The Teton Range WY.